A prominent venture capitalist proposed on Monday a plan to split California into six new states, including one called “Silicon Valley” that would stretch from San Francisco to San Jose and include the entire region where many of the biggest tech companies have their headquarters. The plan by Tim Draper, who was an early backer of Skype, Baidu and Hotmail, faces multiple hurdles and would require significant support from among the state’s 38 million [m] residents, and from the rest of the country if it makes it any further. He hopes to put the idea plan on the November 2014 ballot, which would require about half a million signatures. On the face of it, the chances of it being realized are low. But Draper said splitting California would bring real benefits. ”Something’s not working in our state, and I’m convinced that it is with the existing system, the existing breadth of industry and varying interests. California is untenable and un-governable,” Draper told a sparsely attended news conference at the Silicon Valley school for entrepreneurship that he created and that bears his name. 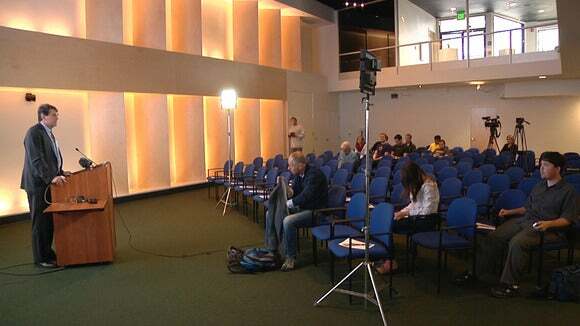 There were about 20 people in the room, although only six appeared to be reporters. ”I’m convinced that the best path for Californians is to create six new states that are unencumbered by trying to balance the interests of people who have very divergent goals and aspirations,” he said. Draper said he believes the interests of the tech industry in Silicon Valley, the defense and entertainment industries in and around Los Angeles, the farms of the state’s Central Valley, and a growing medical devices business in the south of the state are best served by local governments. When pressed on that assertion, Draper offered regulations covering the tech industry as an example. His proposal comes at a time of growing discontent in San Francisco and Silicon Valley at the apparent impact of the tech industry. The massive amount of wealth created by companies such as Google, Facebook and Twitter has amplified economic disparities in the area and made the local housing market one of the most expensive in the country. While the root causes of the social friction in the area are complex, the initiative by the billionaire Draper is already being compared to similar proposals from other local tech elites. 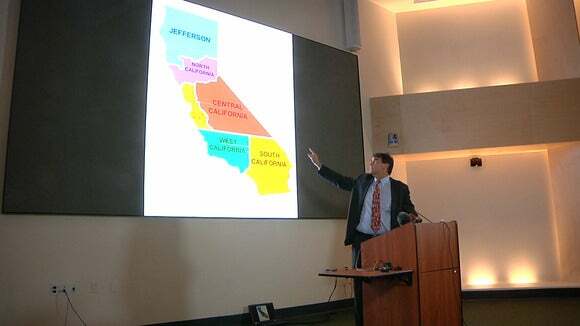 Under Draper’s proposal, the six new states would be called Jefferson, Silicon Valley, North California, Central California, West California and South California. The proposal includes a provision that centers on one of Silicon Valley’s basic tenants: Competition is good. While Draper’s chances of realizing his vision might be slim, the plan will almost certainly serve to continue the debate about the power of the technology industry and how it interacts and is regulated by government. Draper is probably hoping for support from the tech community for his plan. He first disclosed it to TechCrunch, a website that tracks Silicon Valley startups, and Monday’s news conference wasn’t in one of the state’s major cities but in San Mateo, close to the heart of Silicon Valley.